Thames & Hudson, 9780500519073, 208pp. Their wanderings through the French capital and countryside, frequently photographed by Paul, would help lead to the classic Mastering the Art of French Cooking, and Julia's brilliant and celebrated career in books and on television. Though Paul was an accomplished photographer (his work is in the collection of the Museum of Modern Art), his photographs remained out of the public eye until the publication of Julia's memoir, My Life in France, in which several of his images were included. 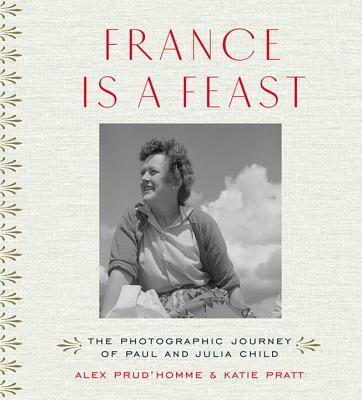 Now, with more than 200 of Paul's photographs and personal stories recounted by his great-nephew Alex Prud'homme, France is a Feast not only captures this magical period in Paul and Julia's lives, but also brings to light Paul Child's own remarkable photographic achievement.